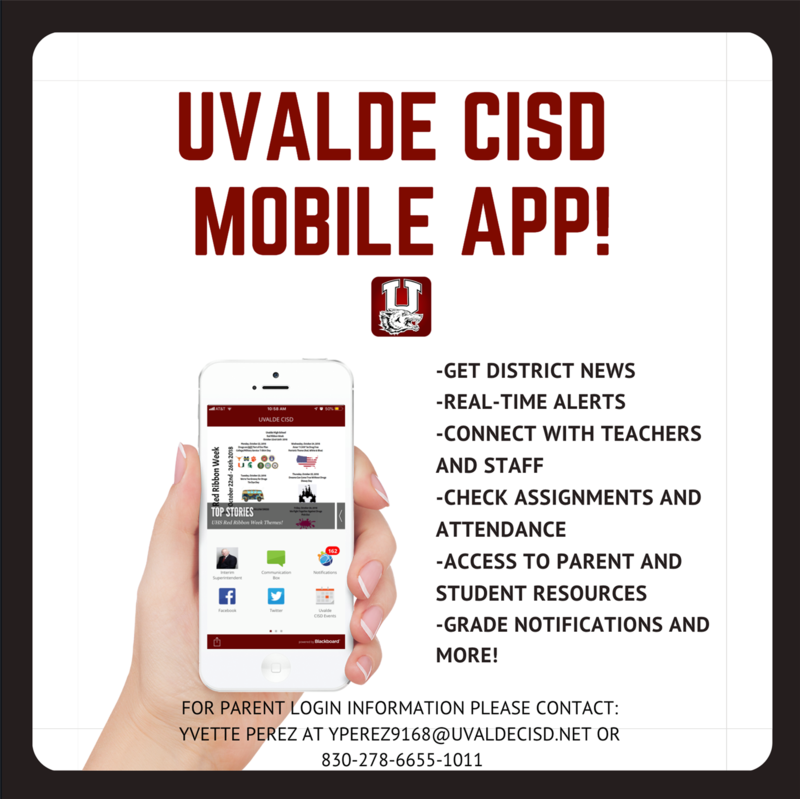 Do you have the Uvalde CISD App downloaded? -Use your mobile device to search and install Uvalde CISD app. -Select the Student Info icon from the app. -Type your Username and Password provided by the school district. -You will see new icons that will have your name and the names of your children. -Select their icons to see their grades, balances, assignments and other information. -Please know being logged in to the app allows you to receive specific push alerts. For assistance please call Central Office at 830-278-6655 and ask to speak to Yvette Perez.